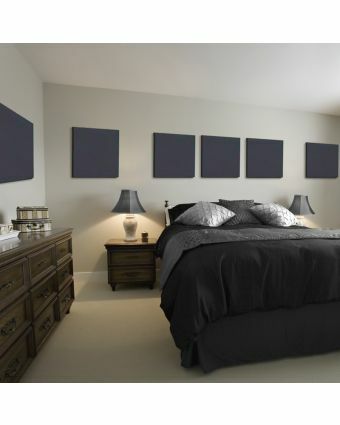 Now for something really special: Audimute’s exclusive acoustical treatment packages. Special, because we listen to our customers, and their feedback led to the creation of these limited-edition and one-of-a-kind kits. Exclusive, because you’ll only find this quality and value on complete sound control solutions here. Each kit contains absorption panels made with the same materials, craftsmanship, and performance as our regular line of individual items. 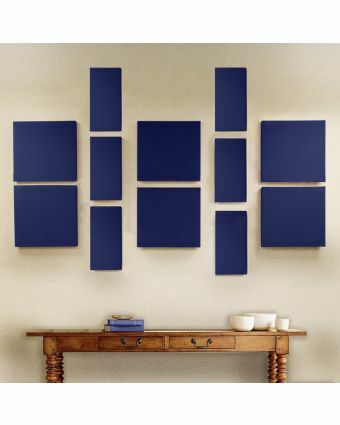 Each effectively controls echo and reverberative noise, for clear, pure sound. And each is pre-packaged in a versatile, usable configuration, ready to ship to you for free, typically the next business day. From small to large, subtle to bold, there’s a kit that’s right for you. 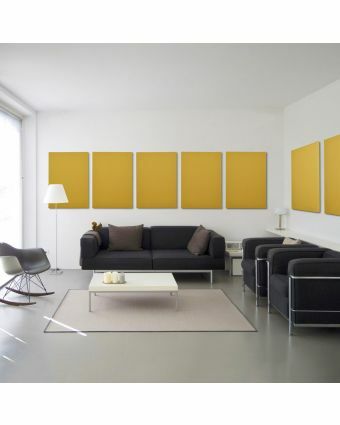 Save time, save money, and get it all together with an Audimute exclusive acoustical treatment kit. Our Exclusive Treatment Kits feature the same rigorously tested absorption panels featured elsewhere on our site. Green - Made with eco-C-tex absorption material, a blend of cotton and cellulose - the greenest alternative to traditional fiberglass and foam. By converting recycled paper into cellulose fibers used in eco-C-tex, the paper is kept out of landfills where it has the potential to pollute the environment. Because eco-C-tex material is completely recyclable, no scrap is produced during production of the product. The eco-C-tex manufacturing process uses 1/10 of the energy than fiberglass insulation, and 1/40 of the energy than foam insulation. The perfect choice wherever sound needs to be improved and/or controlled. The applications are unlimited.